Here's an easy step-by-step Mockingjay Origami tutorial with complete photo instructions. 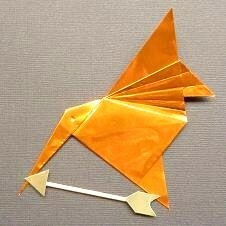 The popular fictional The Hunger Games bird folds flat and is great for handmade cards. This is an easy but stunningly effective tutorial so kids and adults can fold their very own Mockingjay bird from The Hunger Games and present it as it is or stick it to the front of a handmade greetings card. There are no tricky folds, it's just a case of following each step. Origami Mockingjays look stunning folded from Gold Origami Paper Foils which makes them look just like the pin Katniss wears. And you can even make a tiny arrow from a cocktail stick which can be glued to the bird's beak. Looking for a simple, paper folded Mockingjay design that you can make? In less than 20 steps, you can have a beautiful origami bird which is flat folded so you can glue your completed project to a card, display it as wall art or even make a hanging mobile. This fictional bird from the popular The Hunger Games books and movie looks best when created from gold or flame orange foil origami paper because then it looks very much like the iconic Mockingjay pin. You can mount your completed bird onto a ring of gold paper or card and construct a tiny arrow from a cocktail stick. Step 1: A 5-6 inch square is a great size for folding this Mockingjay. Start with the colored side of your square origami paper facing down so you are looking at the back or white side of the paper. 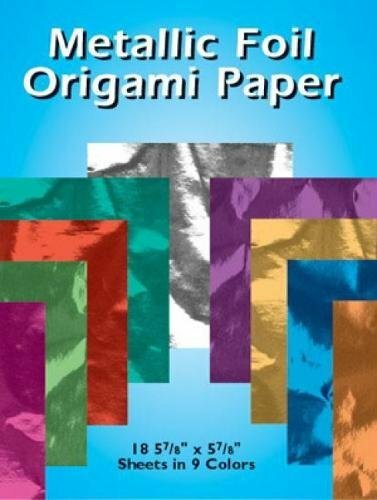 Bring the bottom right corner of the paper up and over to the top left corner and fold into a triangle. Step 2: Unfold the triangle you just made back to the original square. Now pull down the top right corner of the paper down to the bottom left. Line up so the edges of paper match and make your crease. Do not unfold the triangle shape you've just made. Step 3: Rotate or move your paper around so the folded side of the triangle is at the top and the point is facing down. So your paper is now in a wide V shape in front of you. Step 4: Take hold of the top layer of paper at the bottom corner and pull it up so the tip extends over the top of the folded triangle by around an inch or two. Make a crease. Step 5: Take hold of the right corner of your paper and pull it over to meet the middle crease line. Line it up and make your fold. Step 6: Repeat this action on the left by taking hold of the left corner and pulling it over to the middle crease line. Try and match it up level with the other side and make your crease. Step 7: Get hold of the top right tip of paper and pull it down to make an upside down v or triangle shape. Work with the paper because if you pull it too hard it might rip. It should pull back and fold down easily. Step 8: Repeat this fold on the other side to make a matching triangle shape which leaves a white diamond shape of paper in the middle of your Mockingjay. You've just made the basic wing shapes for your bird. Step 9: Fold the bird in half vertically by taking the furthest right wing tip and folding over to meet the furthest left wing tip. The wings should match up and so should all the edges. Make a firm crease down the middle of your origami piece. Step 10: Keep your origami in the position shown in step 9. It's actually upside down right now but it's important that your folded paper is in this position before you make this fold. Take hold of the bottom tip of paper and pull it up and over to the right, making a crease as shown in step 10. This forms the basic beak of the Mockingjay. Step 11: Simply rotate the paper in an anti-clockwise direction. Just push the bird from the bottom and spin it towards the right so the beak you just made is now at the top. You should be able to see the basic bird shape now which you've folded. Step 12: Flip your folded Mockingjay over so the beak is pointing towards the right. Step 13: We now need to fold the beak down further to make it a long and thin beak like the Mockingjay has. Take hold of the top point of the bird and fold this down to line up with the bottom of the beak. So you're folding from the topmost tip of the triangle down to the bottom or underside of the beak. This is easier to fold well with a foil origami paper. Step 14: Flip your bird over so that the beak is now pointing to the left. This is the front of your origami Mockingjay. Step 15: Rotate your paper bird down a little to the left into the position shown. This is the angle in which the Mockingjay is often depicted on The Hunger Games pin and other images. Step 16: Now you need to fold down the top wing only. Take hold of the top wing right at the top corner and pull this behind itself and fold. You should have a little triangle tip of wing poking out. I like to add extra wing detail to the front wing by making a series of creases. This looks especially good on foil paper where the creases stand out more and catch the light. It's an entirely optional set of steps. Step 17: Take hold of the top point on the top wing of your Mockingjay bird and fold it down a little making a long triangle shape. Step 18: All you need to do now is fold this shape over and over again until you get to the end of the wing. So just repeat step 17. Step 19: Unfold the front wing to display some wonderful wing detailing and you're done. I hope you've enjoyed reading my wizzles page today, thanks for your visit. Your completed Mockingjay bird can be mounted onto a backing of card and hung up as wal art, stuck to the front of a handmade card (perfect for Hunger Games themed birthday cards) used as a unique gift tag or hung with string to make a stunning piece of mobile art. Did You Enjoy this Mockingjay Origami Page? Yes, the steps are easy to follow and I now have a new idea for flat unit origami and TBF rosettes. Very useful page for the paper folder. As usual, Kinworm, you've presented us with a beautiful project and given great, easy-to-follow directions. This bird is quite stunning! Thank you @Mladen and @brl I was hoping that Hunger Games fans would enjoy this tutorial. I was inspired to make the origami after reading the book. I love origami, and I enjoyed the movie! I relax by doing origami at my home. I am just amazed by the imagination and creativity of those people who bring us these paper sculptures! Great guide to hunger games mockingjay origami! Yes it is calming, Samsara. I've always enjoyed paper crafts and especially ones that involve cutting or folding paper. It is quite relaxing though not when you're attempting to fold something very tricky - I can get quite stressed with difficult origami pieces! 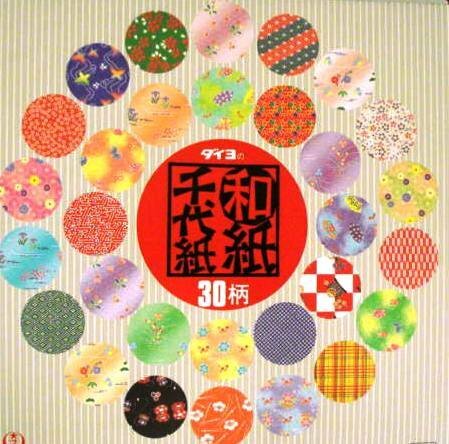 My girls are long time fans and origami creators, they learned in the world cultures and foreign school. They are going to love the Hunger Games Mockingjay bird. They love challenging themselves starting out with this size and then working their way down to see how small they can make them. They go very small, its amazing. A complete photo tutorial with Origami Dress Instructions that you can easily follow. Make pretty paper dresses that are perfect to pop on the front of your hand crafted cards.